Adult wolves do not have any real predators that consider them meals, but under dire circumstances they may have to fight off other packs, coyotes, humans and large animals. Wolf cubs are vulnerable to attacks due to their size, but those rarely happen as they are generally protected by the pack. Besides animals and other packs, wolves are killed by human hunters. People tend to go after them when wolf packs eat their livestock. Although wolves do not have to worry much on predatory dangers, they do risk chance of death from their prey. 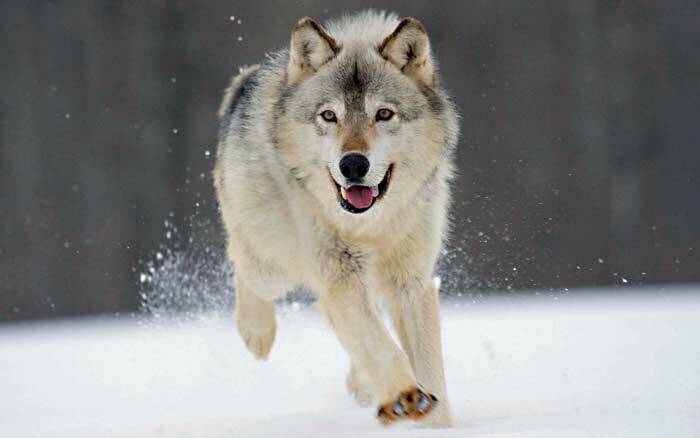 Large animals, such as a moose, can kill a wolf with a kick to its head.